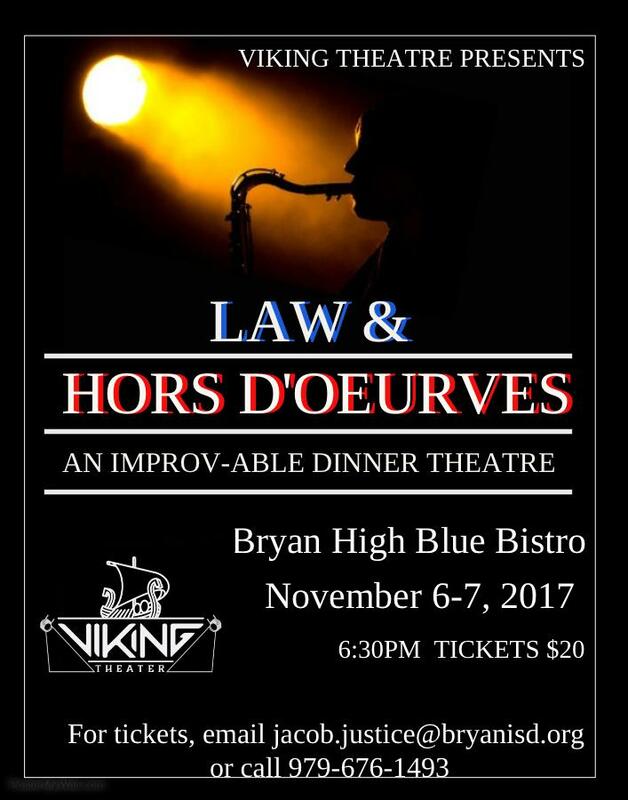 Viking theatre will host a dinner theatre on November 6 and 7. This year event will be a parody of Law & Order and where the audience has to solve the crime. There will also be special performances by the Jazz Orchestra, Shy-Anne’s, and a few soloists from choir. The menu consists of hors d’oeuvres, salad, chicken fried steak with gravy, mashed potatoes, green beans, and cobbler. Tickets are $20. Contact Jacob Justice at jacob.justice@bryanisd.org for more information.